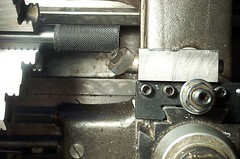 Cut Knurling. How is it done?? Thread: Cut Knurling. How is it done?? I would greatly appreciate the pictures and prints as well!! Another that would like the drawings and pictures. Did they get posted somewhere that we can download them from instead of bothering Tom each time? Dan, thank you for posting the pictures and sketch. One of these days I need to learn how to do that. 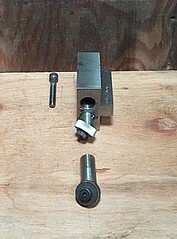 The 3/4" dia. 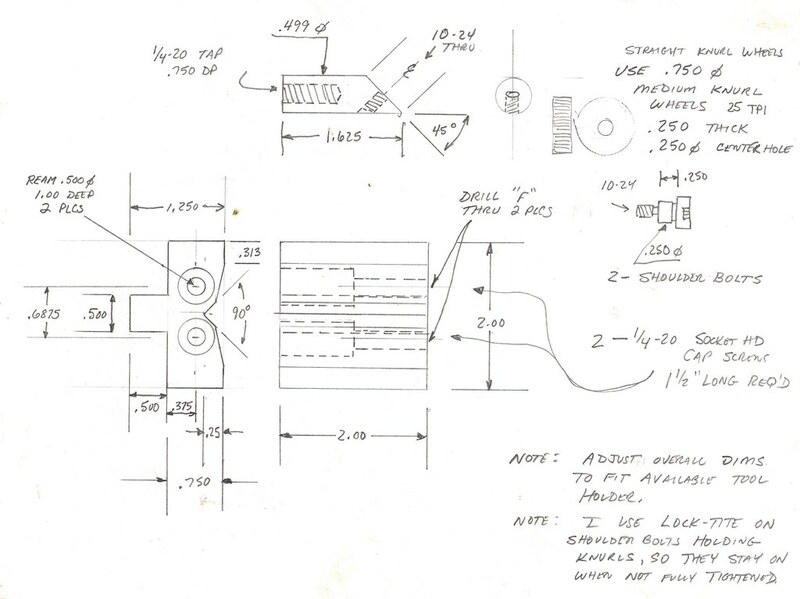 delrin rod was knurled in one pass at 750 rpm, .025 in/rev., .025" in on the radius, moving toward the tailstock while blowing compressed air on the wheels to clear chips and cool the work. It moves pretty fast. 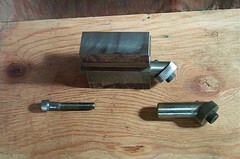 The knurl cutters and shoulder bolts are commercially available.As you can see, the cutters are mounted on a 45 deg. angle on the end of the shafts, which can be adjusted radially, although once you set them,you don't need to move them very often. It takes a bit of practice and trial and error to make this work. A tool like this is the only way I know to make a decent knurl in most plastics. This works on metals also, but I think pressure knurls do a nicer looking job on metals. 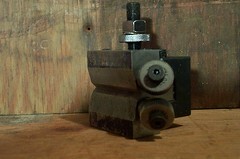 You can also mount the tool at 90 degrees to the way it is shown in the pictures. 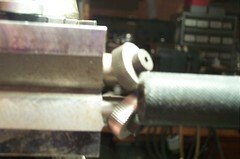 It will cut just as well, and let you get in closer on smaller diameter work. Tom Partington from Mass. Thanks for posting this. I'm now looking for some material to get this started. Hey, thanks for the pics. I've been wanting a cut knurler since I bought one from Reliable. It turned out to be the largest one ever made :rolleyes: I sent it back!